I might have mentioned this before, but my darling (now eight-year-old) daughter has not only a bubbly, energetic and charming personality, but also a very dark tinge to her outlook at times. Again, very deity-like, I suppose, and probably our fault for naming her after a goddess. She will fixate on the notion of death and evil sometimes, asking us to tell her all the details of any tragedy or crime she overhears on the radio. In playing with the Barbie dolls with my wife, the plotlines often turn into tales of zombies, curses and dismemberments—and that was long before she started adding “Monster High” dolls to the mix with the Barbies. Yesterday, she got cranberry juice at a breakfast restaurant instead of her usual orange juice, and loudly announced to us (and several people near us) that she was drinking and very much enjoying blood. The level of her fascination with the morbid is alternately amusing and disturbing, but then again, I have to remind myself I wrote tales with vicious, bloody, gory battles in them when I was a youth, and I turned out OK (I think…my wife might disagree). So, how did I get on this topic? 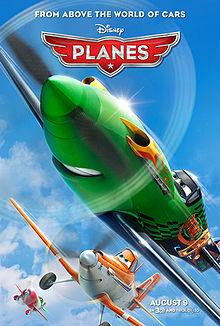 We saw the movie Planes this week. Good flick. It’s based in Pixar’s Cars universe, where the world is a world of vehicles with human personalities. In essence, the cars, trucks, planes, etc. are stand-ins for people. “No, I don’t think there are any people,” my wife responds. “I wonder what happened to the people?” the little goddess muses. “I bet they all died,” my daughter continues. “Um, even if there were people and they died, that wouldn’t explain how cars and planes got personalities and eyes and stuff,” I note. At this point, I realize there’s no point in dissuading her, so I return my attention to the movie and try to excise the sudden insertion of memes from The Walking Dead, The Day After Tomorrow and countless other apocalyptic movies that have no place in a Pixar animated flick. I’ll start stocking up on cute Goth-wear for her soon. I’m sure she’ll need it. This entry was posted in In her own words by Jeff Bouley / Deacon Blue. Bookmark the permalink.